Crochetology Problem: Use 2 stitch patterns to make a garment with sleeves. 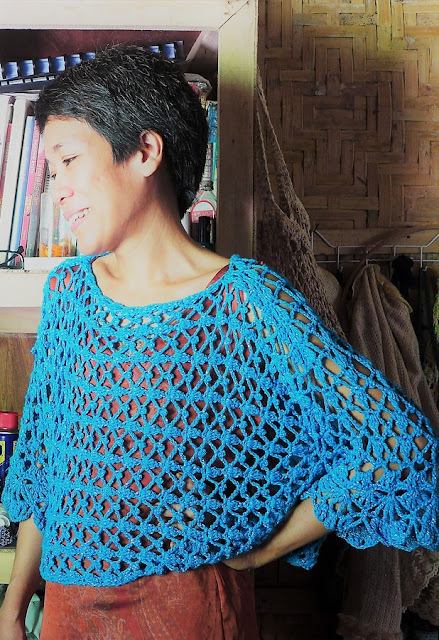 In this project, I wanted to make a garment with sleeves. The sleeves should be long or quarter sleeves and should be worked in the round along the armholes instead of crocheted separately and joined. I want a sleeve that is seamless. 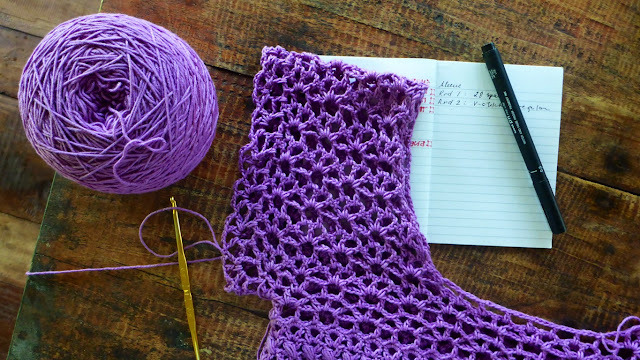 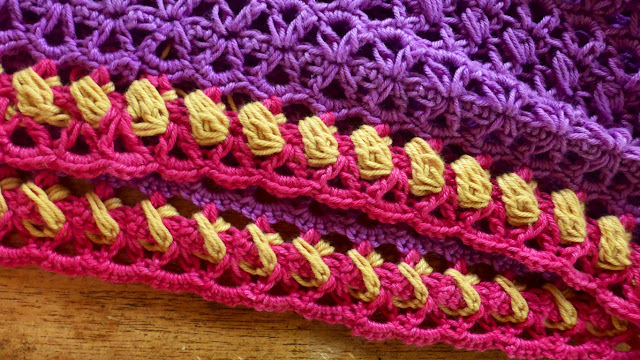 I also want to use at least two stitch patterns, selecting and modifying stitch patterns to match each other in an overall design. 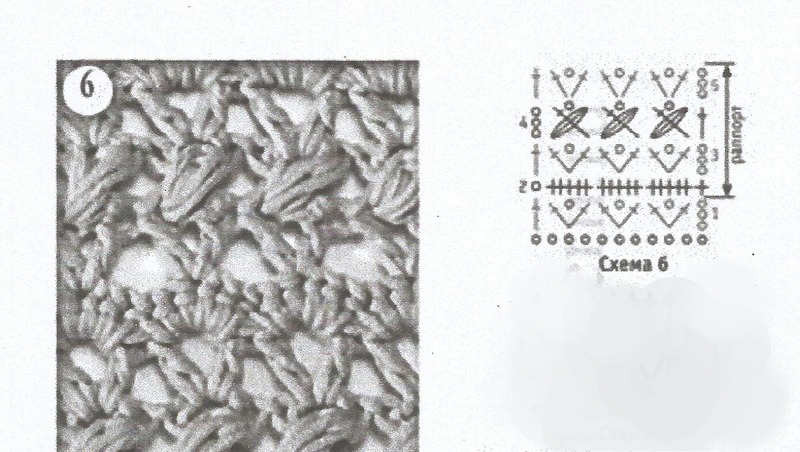 Here (above) are the two stitch patterns. 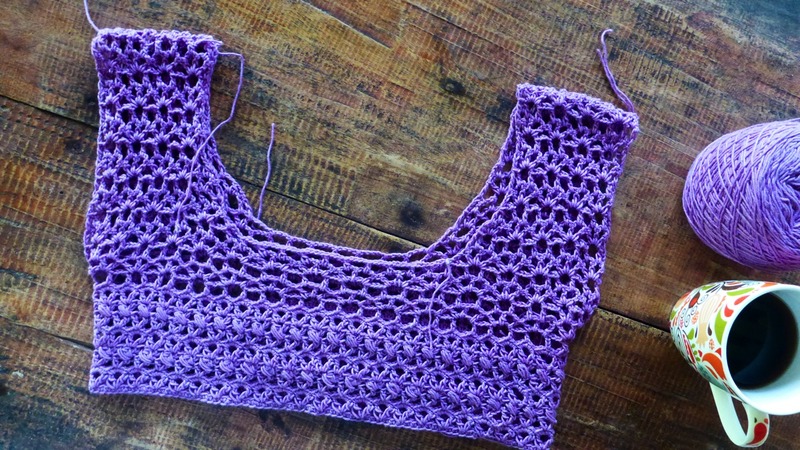 I used 4-ply yarn and 3.5mm hook. 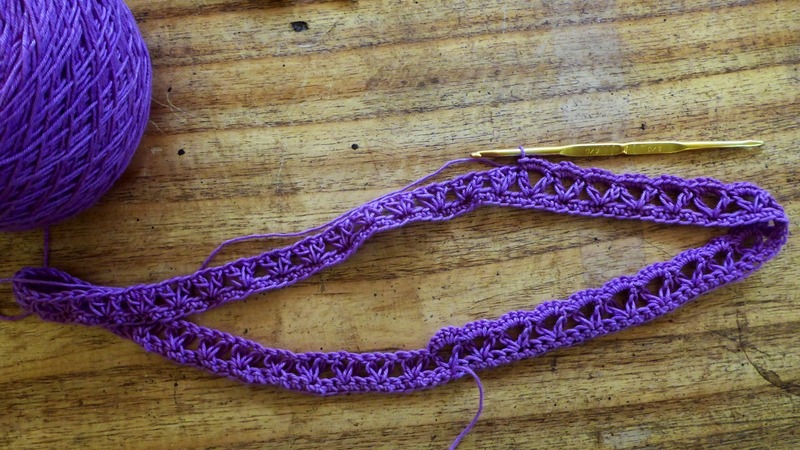 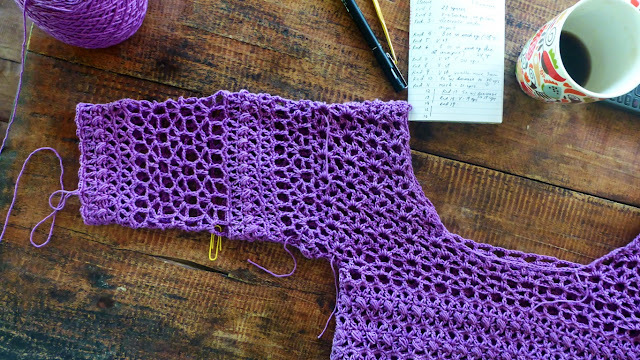 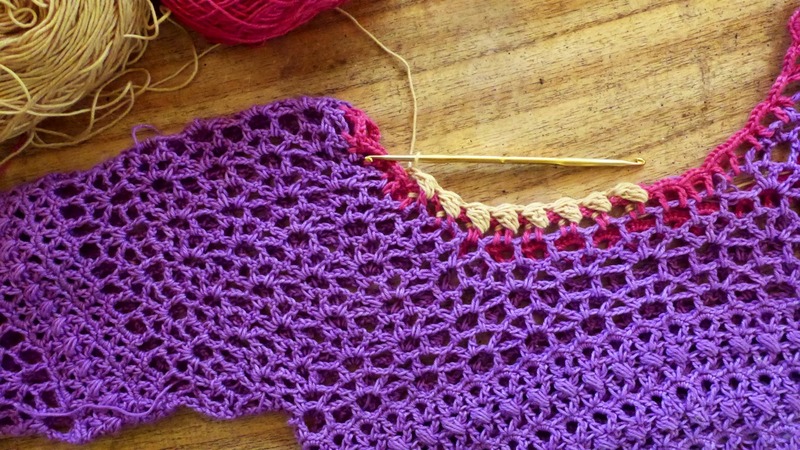 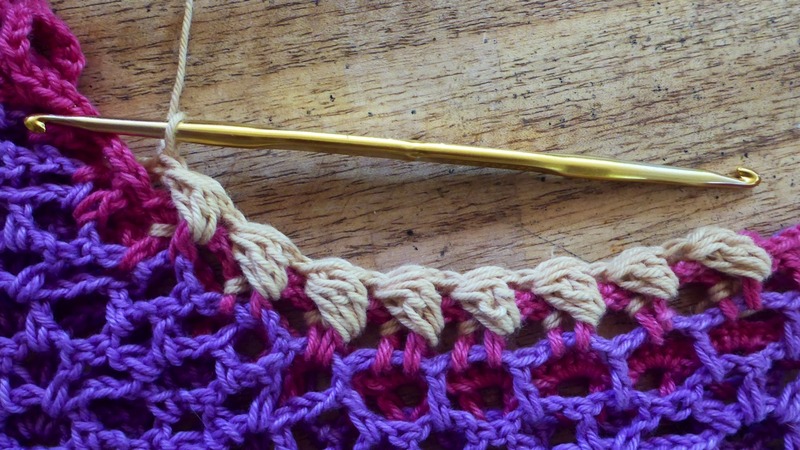 These stitch patterns need to be modified in order to be worked both in rows and in rounds. 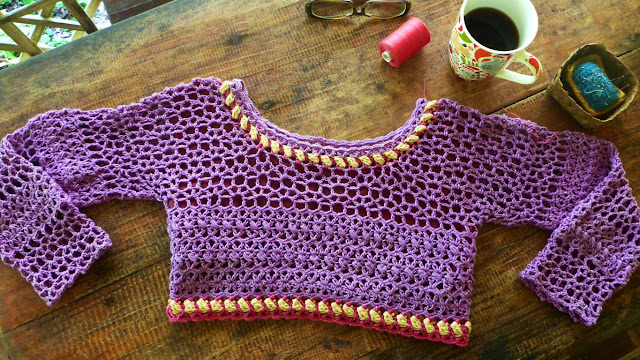 The garment I want to make is a cropped top with three-quarter sleeves and a round neckline. Work begins from the bottom up, splitting to make the armholes and neckline, then joining at the shoulders, and the sleeves are worked around the armholes. 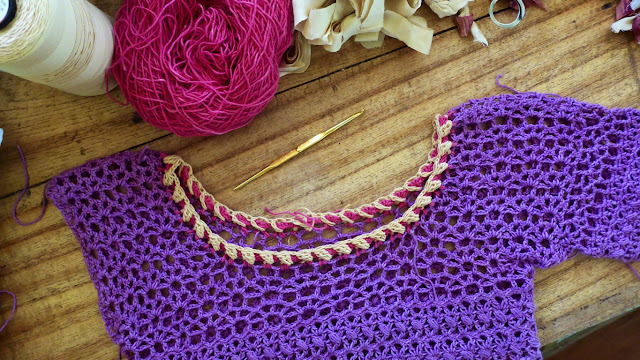 When working the armholes, remember to increase along the sides to make up the cap of the sleeve. When making the first sleeve, I made notes of all the rounds and modifications made so that I can repeat the exact pattern for the other sleeve. 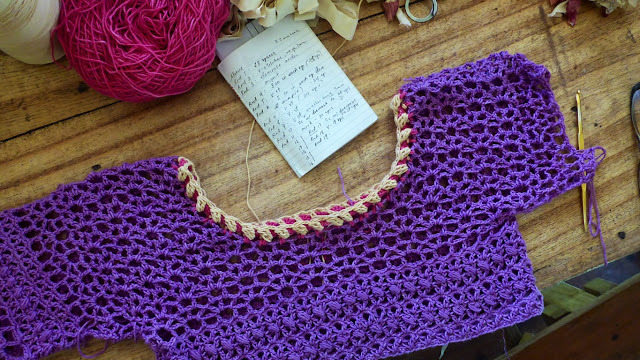 The sleeve is joined at the armhole and decreases towards the cuff. 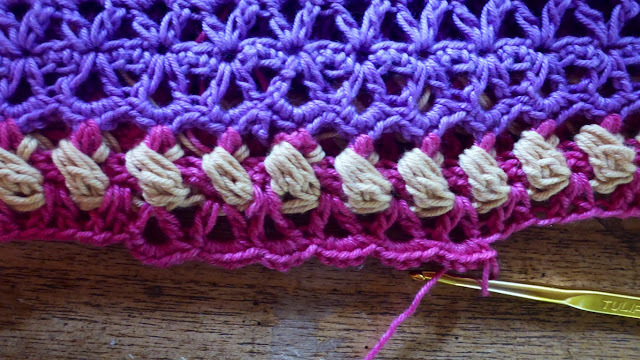 Below are photos showing colour work along the neckline and hem. 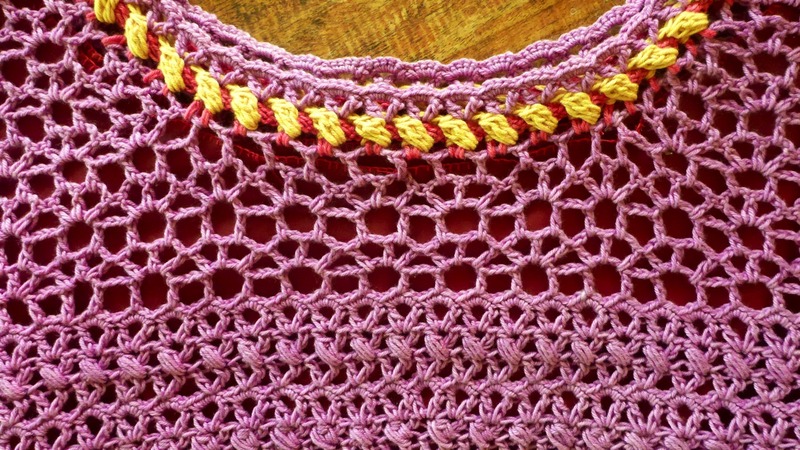 The same stitch pattern is used here but with modifications, using the overlay crochet technique. Finally, I made a lining for the cropped top in matching colour fabric. I'm very happy with the result of this Crochetology problem, especially making the sleeves. 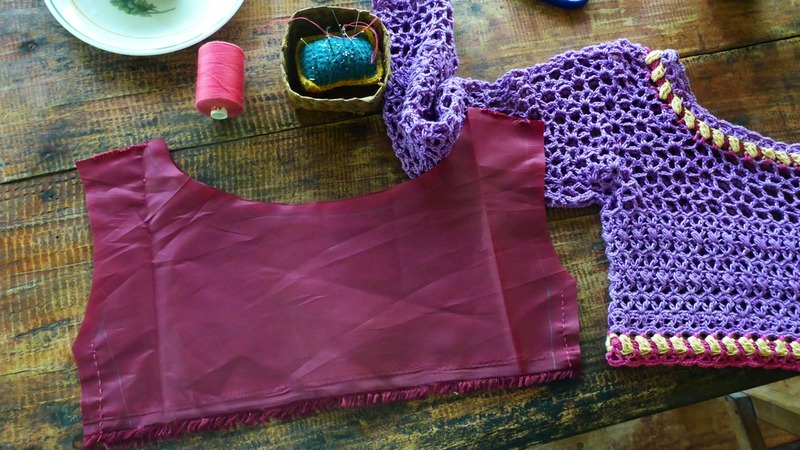 Here’s the finished cropped top with sleeves, I finally got to wear it out today, it looks like an Indian choli!! 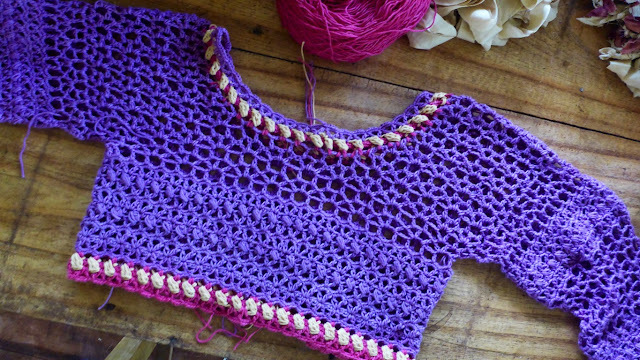 I stretch my arms out a bit so the sleeve can be seen better, it looks alright, not wrinkled, and it doesn’t fold over the shoulder or under the armpits, so it’s not bad at all doing it in the round as long as there’s enough space for the sleeve cap and the armholes are the right fit!